NATO Secretary General Jens Stoltenberg will address a joint meeting of Congress today. 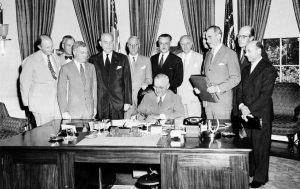 This week marks the 70th anniversary of the founding of NATO. Foreign ministers from NATO countries will participate in commemorations in Washington, D.C. There will also be teach-ins and protests, see: NoToNato.org. While Stoltenberg has argued that NATO provides stability, security and peace, many scrutinizing NATO have come to the opposite conclusion. The Norway-based analyst John Y. Jones states that NATO Secretary General Stoltenberg is seen as a Norwegian Blair (with respect to privatization and tax reduction). Jones states that Stoltenberg’s enthusiasm for Norway’s participation in the 2011 bombing of Libya was seen as his ticket to becoming Secretary General of NATO. A critical book about him, The Man Without Spine, was written by Magnus Marsdal. Carden is a contributing writer at The Nation and the executive editor for the American Committee for East-West Accord. 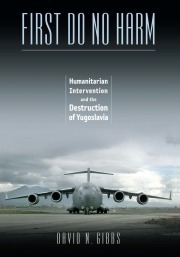 “One of NATO’s first major post-Cold War missions, the 78-day aerial bombing of Serbia, nearly ended in disaster when NATO Supreme Allied Commander Wesley Clark ordered British General Mike Jackson, commander of NATO’s troops in Kosovo, to retake the airfield in Pristina, the capital, from the Russians — by force if necessary. “The diplomat-scholar George F. Kennan also foresaw trouble. Writing just after the New Year in 1997, Kennan predicted that ‘the Russians will not react wisely and moderately to the decision of NATO to extend its boundaries to the Russian frontiers.’ For Kennan, the decision was ‘the greatest mistake of the entire post-Cold War period.’ Time has proven the skeptics correct. The group RootsAction.org today released an action alert: “Next Wednesday, a rare joint session of Congress will hear a speech by NATO Secretary General Jens Stoltenberg. Shakarian is a specialist in the Caucasus region, particularly Armenia and Georgia. He is currently a history PhD candidate at The Ohio State University. He hosts the “Reconsidering Russia” podcast and has written introductions for a series of classic books on the region. He said today: “Nestled on the eastern coast of the Black Sea, Georgia is a nation with two breakaway regions — Abkhazia and South Ossetia. Both entities desire to secede as a result of longstanding grievances that erupted into open conflict with the unraveling of the Soviet Union in 1991. A peace process involving Tbilisi and these self-proclaimed republics began in the 1990s, with Russia acting as mediator. After the 2003 Rose Revolution, the pro-Western Mikheil Saakashvili ascended to power with the support of Washington and made membership in the EU and NATO a priority for Georgia. This move alienated the Abkhaz and Ossetes, and aggravated Moscow. Then, in August 2008, convinced of American support, Saakashvili attacked South Ossetia, prompting the well-known bear-like response from Moscow. In 2012, his party was ousted by Georgian voters and the Georgian Dream (GD), led by the pragmatic billionaire Bidzina Ivanishvili, assumed power. The GD seeks a rapprochement with Russia and dialogue with the Abkhaz and the Ossetes. 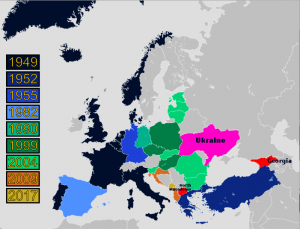 However, it has also retained Georgia’s EU and NATO aspirations as a form of geopolitical leverage vis-à-vis Moscow. “Pro-NATO sentiments in Georgia are encouraged by Washington war hawks and NATO officials, such as Mr. Stoltenberg. What motivated Stoltenberg’s latest remark about Georgia and NATO? At first glance, such a statement seems like business as usual. U.S. and NATO officials periodically travel to Georgia and make such declarations to reinforce Tbilisi’s commitment to its NATO aspirations. However, the exceptional hawkishness of this particular statement suggests another context, which is the Russiagate controversy in the U.S. Keep in mind that Stoltenberg’s pronouncement came one day after Attorney General Bill Barr announced the findings of the Mueller Report. It also came a week before Stoltenberg’s upcoming address to a joint session of Congress on April 3. The idea is to bolster support in Washington for a harder policy toward Russia. Is “Russiagate” Helping Push the NATO Agenda? 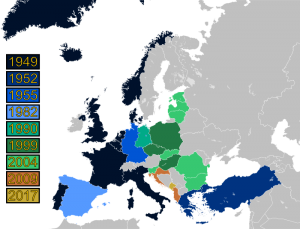 Radio Free Europe is reporting that during a visit to the country of Georgia, NATO Secretary-General Jens Stoltenberg has said that the South Caucasus country will join the North Atlantic Treaty Organization, despite Russia’s strong opposition. See: “Stoltenberg: Georgia Will Join NATO, And Russia Can Do Nothing About It.” See NATO statement on NATO-Georgian military exercises. The country of Georgia borders Russia, Turkey and the eastern end of the Black Sea. It is about 2,000 miles from the Atlantic. Stoltenberg is scheduled to address a joint session of Congress on April 3. 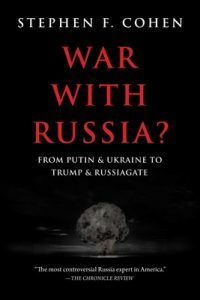 Available for a limited number of interviews, Cohen is professor emeritus of Russian studies, history, and politics at New York University and Princeton University. A Nation contributing editor, he is the author, most recently, of War With Russia? From Putin & Ukraine to Trump & Russiagate. Abunimah is among the speakers at the “Israel Lobby & American Policy Conference,” now taking place on Friday at the National Press Club. See information, including livestream — also on C-SPAN2. 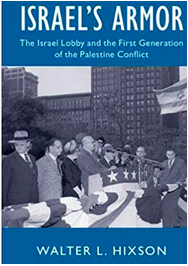 Other speakers include Walter Hixson, author of Israel’s Armor: The Israel Lobby and the First Generation of the Palestine Conflict and organizer Grant Smith, author of Big Israel: How Israel’s Lobby moves America. Quigley is professor emeritus of international law at Ohio State University. Regarding Trump’s statement on the Golan Heights, which was seized by Israel in 1967, he cites the Stimson Doctrine, which which forbids recognition of any legal consequences as a result of the use of force. See information on State Department website about the Stimson Doctrine. Quigley’s books include The Statehood of Palestine: International Law in the Middle East Conflict (Cambridge University Press) and The Ruses for War: American Interventionism Since World War II. He also wrote “Finding a Way Forward for Crimea,” for the Cambridge Journal of International and Comparative Law. Solomon is co-founder and national coordinator of RootsAction.org, which has 1.2 million active supporters online in the United States. At the 2016 Democratic National Convention, Solomon was the coordinator of the independent Bernie Delegates Network. He is currently on the coordinating team of the relaunched Network. Solomon is the executive director of IPA.